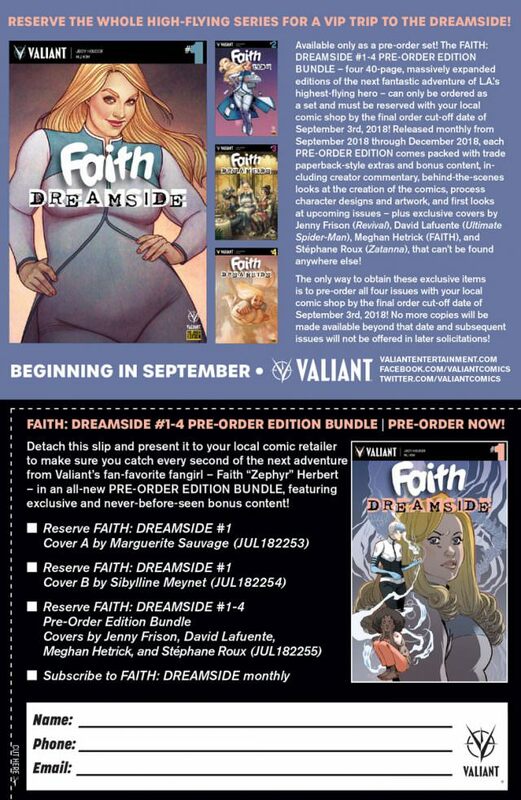 Valiant is releasing a new Faith series in the fall of 2018 that has Faith entering the Dreamside. 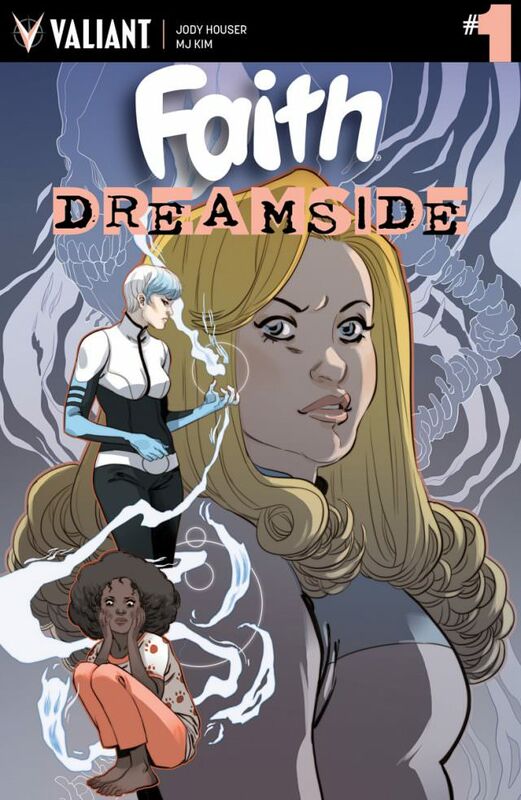 The series is written by Valiant rockstar writer Jody Houser and also features some of my favorite cover artists in Jenny Frison and Marguerite Sauvage. This series will put Faith into a more Horror themed story which is not a place we have seen Faith before. 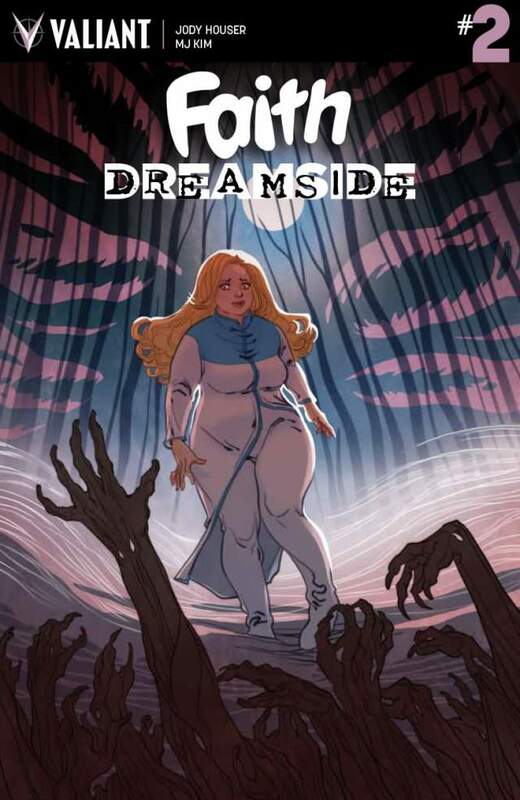 Valiant's new big initiative is called Beyond that will launch 4 new series from the company. 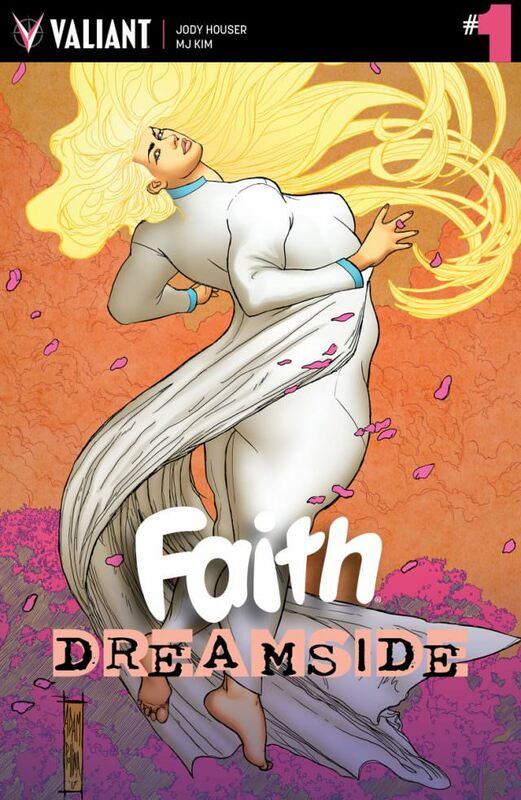 The 4 series being launched as part of Beyond are Faith: Dreamside, Blood Shot: Rising Spirit, Livewire and Incursion. 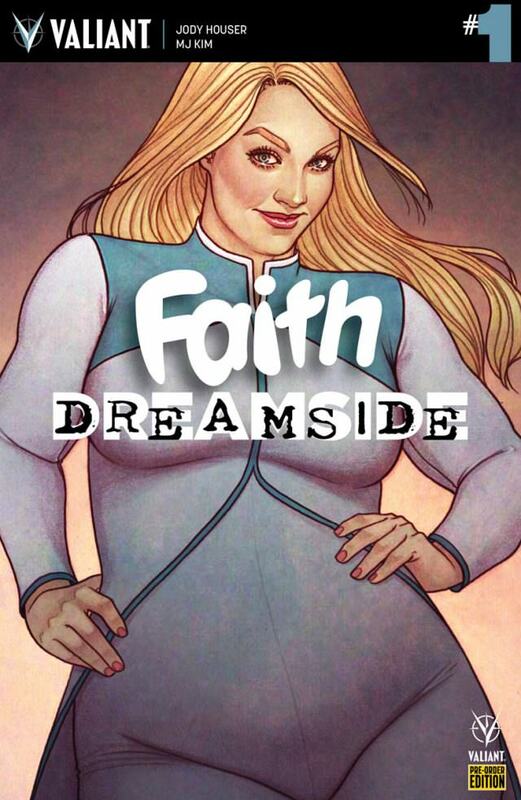 As first revealed at Paste Magazine, Valiant is proud to present a closer first look at FAITH: DREAMSIDE #1 (of 4), an all-new adventure starring Valiant’s fan-favorite fangirl and the first of four exciting series premieres that make up the recently revealed “BEYOND” initiative! 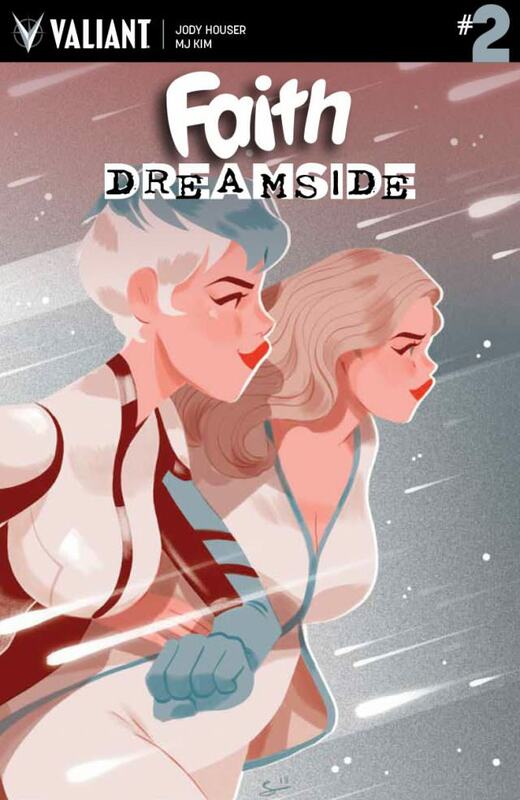 On September 26th, Eisner-nominated writer Jody Houser (FAITH, Star Wars: Thrawn) and rising star MJ Kim (FAITH’S WINTER WONDERLAND SPECIAL #1) both return to the world of Faith Herbert as she teams up with the world’s foremost occult expert for an expedition into a brand-new realm never seen in the Valiant Universe! Prepare to enter…THE DREAMSIDE!